Alex has been involved in horses all her life, starting on ponies in Pony club and progressing to show jumping and showing. On relocating to Lincolnshire Alex managed the family riding school and livery yard alongside training junior showing and show jumping riders and producing her own and clients horses for show jumping and showing. Alex has a calm and encouraging approach to teaching helping you to achieve those goals without realising you have just done what you thought you couldn't. 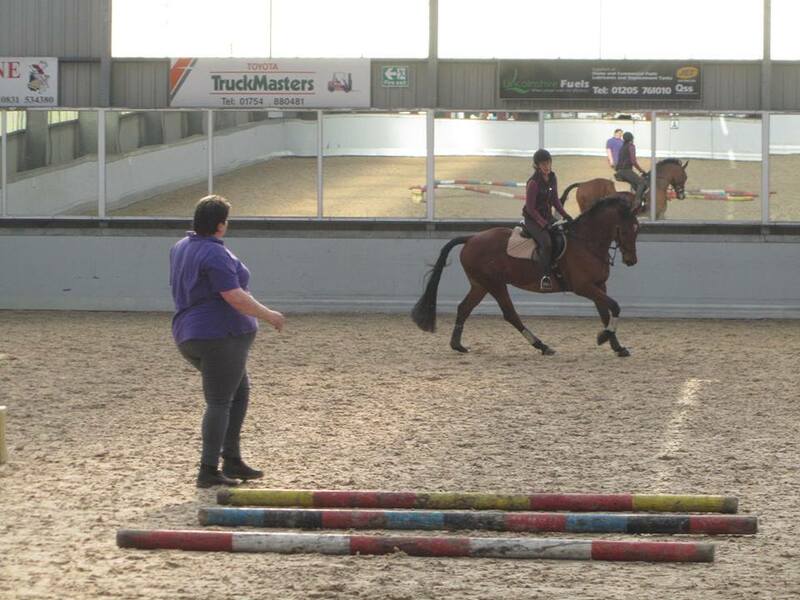 The poles don't have to leave the ground to get the benefits or enjoyment of jumping for you and your horse, the achievements and progression obtained with polework are hugely beneficial so if leaving the ground is not your thing then have a polework session, but if you are a high flyer lets work on the technique and make achieving that clear round easier.